Beth Hennings was a school director, an author and a historian. She was the first woman to gain her doctorate in history at Stockholm college in 1935. Beth Hennings was born in 1889. She grew up at Wallstanäs estate in Rosersberg, Norrsunda parish in Uppland. She was the youngest daughter of Rudolph and Lisen Hennings. Rudolph Hennings’ employment record included working as an agricultural inspector and being the director of an agricultural school. He managed the large estate on which Beth Hennings and her siblings grew up. Beth Hennings gained her school-leaving certificate in 1908 and went on to study Nordic languages, literature, and history in order to gain her teaching diploma at Uppsala university. Her intention was to become a teacher. In 1913 she gained her Master of Arts degree, with history as her main subject, and then began to teach at  (Sofi Almquist)’s co-educational school in Stockholm. Educational travel and time spent in Europe formed an important element of Beth Henning’s identity as an educated woman, as it did for many other women at this point. She spent long periods in Italy and France, where she taught herself the local languages and deepened her cultural and social knowledge. Her travels exposed her to intellectual and cultural spheres which she had previously been unaware of and influenced her writing and her research interests. During the early 1920s she also met Gina Leffler, an art critic, in Italy and they became life companions. Beth Hennings returned to the world of academia seventeen years after gaining her Master’s degree. She then began to study at Stockholm college. At this point she was already a well-known author of popular history works and had published three books. The first, from 1920, was Grevinna d’Egmont, which dealt with King Gustav III’s relationship with Septimanie d’Egmont. Her second book, from 1923, was Maria Stuart, which is Beth Hennings’ own psychological interpretation of the Scottish queen. Her third book, Gustav III och grevinnan Boufflers. En brevväxling från kultens tidevarv, from 1928, contains printed versions of the correspondence between the king and the well-read and politically aware countess who was 20 years his senior and a long-term friend of the king. Beth Hennings gained her licentiate in history in 1932 and then continued her studies, determined to gain her doctorate. She lived off of her earnings as a teacher – she got a job as an assistant teacher in 1933 – and worked on her doctorate in the evenings, at weekends, and during holiday time. In 1935 she defended her thesis on Gustav III som kronprins and carried on working as a teacher. A little over 20 years later, once she had retired, she returned to writing history. In 1957 she published Gustav III. En biografi, and in 1960 she published an edited work entitled Ögonvittnen om Gustav III. She also released an autobiography called Resa genom sju decennier in 1963. Her final work was Fyra gustavianska studier, published in 1967. Beth Hennings has mainly become known to us for her work as a historian and as an author of popular-science works. In her autobiography she presents herself as a rebel within the historical sphere at Stockholm college. Most of the historians at that college researched medieval political history, focusing on medieval source material. As an author and a professional woman Beth Hennings remained separate from this environment, cultivating her own research interests and her own personal networks. She was the only person in that sphere who was interested in eighteenth-century cultural and political history. She was informally supervised by her good friend, Alma Söderhjelm, a Finnish-Swedish professor of history. She also received help and advice in academic matters from her friends and former fellow students at Uppsala, the historians Hugo Valentin and Georg Landberg. Beth Hennings’ doctoral thesis on King Gustav III takes a broad approach by focusing on biographical, educational, and child rearing history. It includes literary, art, and theatre history and also touches on domestic and foreign policy matters. At her thesis defence Kjell Kumlien, who was the faculty opponent, harshly criticised the thesis as he believed it to be overly lyrical and narrative. The daily press, in contrast, awarded it major print space and it gained a favourable reception. Following her successful defence Beth Hennings walked away from the university sphere never to return. Instead she worked as a teaching advisor for the Skolstyrelse (Board of Education) from 1938-1939 and as principal of the Högre allmänna läroverk (advanced general school) in Södermalm, Stockholm from 1939-1954. 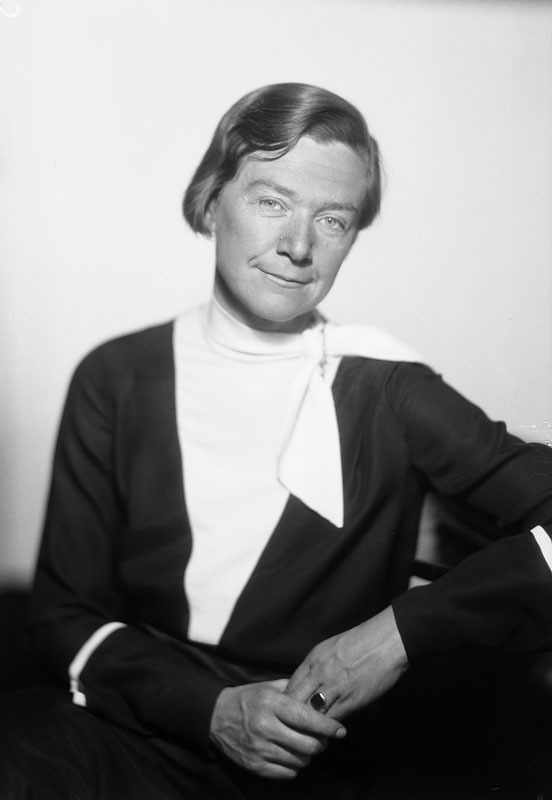 She was also a parliamentary representative for the Folkparti during 1937. Nowadays her research into the Gustavian period has been re-evaluated and is considered as fundamental to the work of successive generations of researchers in the field, and particularly those investigating that king’s childhood and youth. Her biography of King Gustav III is one of the most fundamental and comprehensive studies that has been written in the field. Her final book, Fyra gustavianska studier, consists of essays which had already been published elsewhere. These once again revealed her expertise in the Gustavian period and highlighted issues which future historians would adopt for their own research. Beth Hennings was also active within the women’s movement. During her student days she was a member of the Kvinnliga studentförening (female students’ association) at Uppsala, as well as of the Nya Idun society, for which she served as the chair form 1935-1943. Beth Hennings died in 1971. Betty Constance (Beth) Hennings, www.skbl.se/sv/artikel/BethHennings, Svenskt kvinnobiografiskt lexikon (article by Kirsti Niskanen), retrieved 2019-04-23.